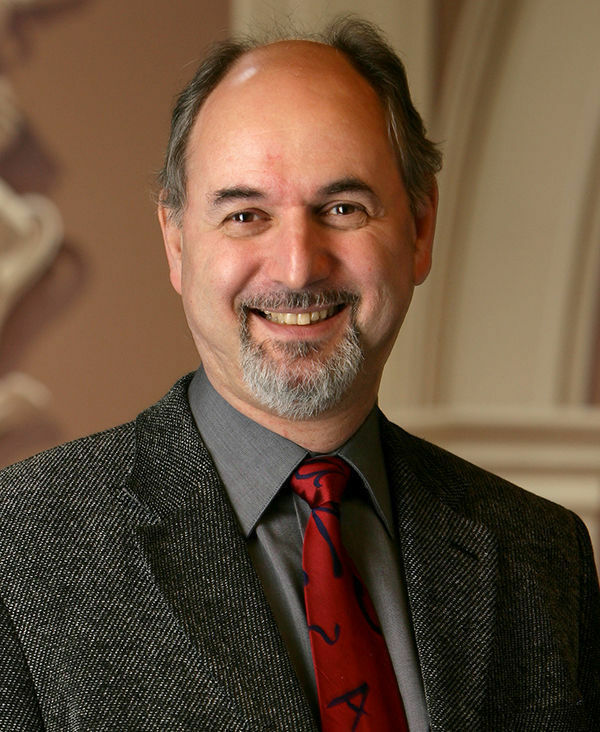 Peter Holland, the College of Arts and Letters’ associate dean for the arts and the McMeel Family Professor of Shakespeare Studies, has been named chair of the International Shakespeare Association. Holland, a professor in the Department of Film, Television, and Theatre, was selected by the association’s executive committee from candidates nominated worldwide for the prestigious position. The association, based in Stratford-upon-Avon, England, the birthplace of Shakespeare, seeks to further the study of the playwright’s life and to connect Shakespeareans and Shakespeare societies around the world. Holland begins his initial five-year term as International Shakespeare Association chair in mid-April. One of Holland’s primary jobs as chair will be to organize the World Shakespeare Congress. Held every five years to celebrate the Bard’s memory and the global cultural legacy of his works, the event has recently been held in Spain (2001), Australia (2006); the Czech Republic (2011) and Stratford-upon-Avon and London (2016). The site of the 2021 event has yet to be determined. As chair, though, Holland hopes to spur the association to have a more pronounced presence between those congresses. “We need to do more to work with and encourage the work of national Shakespeare organizations all over the globe,” he said. Holland has traveled the world to talk about Shakespeare, including to Russia, New Zealand, Canada, South Korea, Hungary, and Japan. He will soon represent the ISA at a conference in Stratford, Ontario, as part of the Stratford Festival, and in Gdansk, Poland, for the European Shakespeare Research Association. Holland, who holds a concurrent appointment in the Department of English, previously served as director of The Shakespeare Institute at Stratford-upon-Avon and professor of Shakespeare studies at the University of Birmingham before moving to Notre Dame in 2002. Holland is editor of Shakespeare Survey, the United Kingdom’s leading Shakespeare journal, and co-general editor of Oxford Shakespeare Topics and of the 18-volume series Great Shakespeareans. Among his books are English Shakespeares: Shakespeare on the English State in the 1990s and a major study of Restoration drama, The Ornament of Action. In 2012, he won the Sheedy Excellence in Teaching Award, presented annually to an outstanding teacher in the College of Arts and Letters. Holland earned his doctorate at the University of Cambridge and was named an honorary fellow at his alma mater in 2009, an honor bestowed on only a select number of people. Originally published by Tom Coyne at al.nd.edu on April 06, 2017.